The right curtains can bring a stylish, coordinated feel to any room. They can also be seen as stand-alone feature. Having trouble choosing the perfect window treatments for your home? Blinds or curtains? Feeling a little overwhelmed by the options? On this page we explain the different types of curtains available. If you're still unclear then let us help you find just the right style to suit, call 09 425 0037 or email us about curtains. Window treatments, whether piped, pleated, puddled, or plain curtains, add fluidity and softness to a room. They also add privacy, warmth and light control. When choosing curtains you not only have to look at fabric, texture, and pattern, you also need to think about the type of window treatment your room needs. The top hem of a curtain, known as the heading, can help define the overall look: casual, formal, contemporary or sleek. The heading can also play a part in functionality. To help, we’ve put together a list of what we feel are the nicest heading options and have offered a short explanation about each window treatment. Stitched pleats give your curtains a plush and structured look. There are many styles, from narrow pencil pleats to wide, flat box pleats, all of which are sewn into the panel's top edge to create a header. Because they are structured, pleated curtains appear more formal than other types. There are a number of different pleats you can choose from; each has a different purpose and offers its own set of benefits. This is a simple, singular pleat at the top of the curtain and uses less fabric than the more formal French or Dutch pleats. This pleating creates minimal stack at the side of the window and is ideal for more patterned fabrics, or fabrics with obvious stripes. Pencil pleating is one of the more common types of window treatments, using a greater width of fabric. They are narrow single pleats formed in neat folds. There are loose and tight pencil pleats, both of which create a full appearance. This treatment is versatile, working well with prints and textures. The finish is casual and cozy. It is perfect for the lounge or bedroom. This is also known as a reverse pleat, box pleat or New York pleating and is the reverse of the French pleat. Inverted pleat curtains are suitable for all types of window and are particularly good for plains and textured weaves. 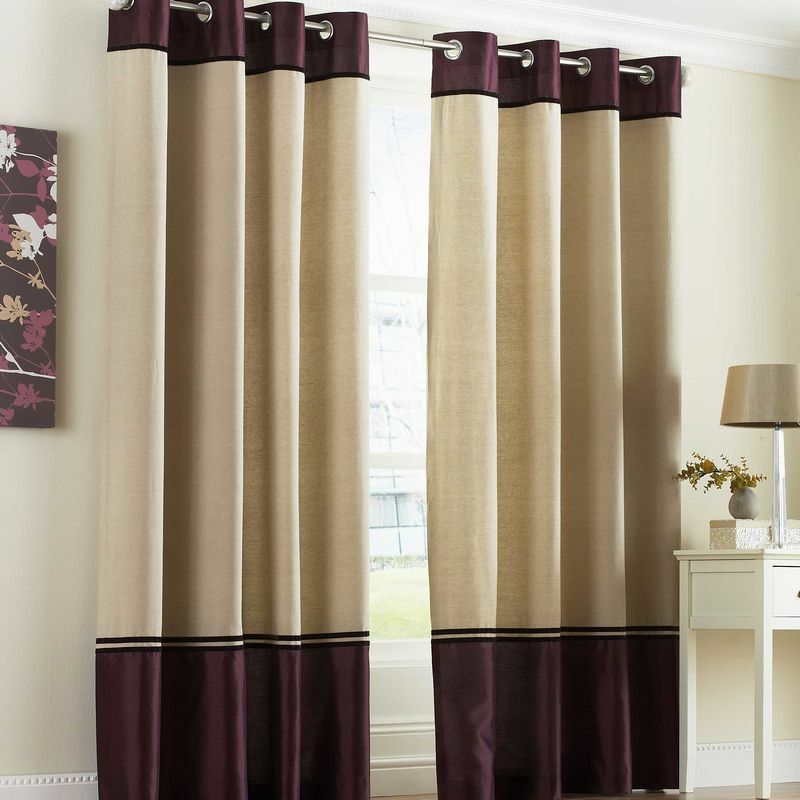 They are made with a reverse single pleat at the top of the curtains and provide a simple, modern look. The inverted pleat requires less fabric than some other styles. The fullness is around 1.8 times the track length. These can be used on thermal, lined or sheer curtains. This style is also known as double or twin pleat. Dutch pleat curtains are made with two pleats joined together at the top of the curtains and are regarded as slightly less formal than a French pleat. The Dutch pleat is suitable for all types of windows and is a particularly useful pleat for heavier fabrics where French pleating would be difficult. It is at its best with textured plain fabrics. These pleats can be used on thermal, lined or sheer curtains. The fullness is around 2 times the track length. This style is also known as triple pleat. French pleat curtains are made with three pleats joined together at the top of the curtains. This style creates a formal heading with a uniform finish and neat stacking to the side. A style that is ideal for a formal dining room or where there is not much wall space beside the window. The fullness is around 2 times the track length. They are made to a fixed width and fullness so it is important that the window is measured accurately. The curtains can be thermal, lined or sheer. Eyelet curtains, or ring top curtains, have become increasingly popular in modern households thanks to their simple yet stylish design. Characterised by circular holes in the header that allow your drapes to be smoothly opened and closed, eyelet curtains offer a contemporary alternative to traditional pencil pleating. Metallic eyelets are usually teamed with a metal rod. This treatment works well with plain fabrics in muted tones, and is especially effective where other fixtures in the room are metallic. It is also possible to coat the eyelets to match a colour in the fabric or to match other features in your room. For a free quotation & correct information call Curtain & Blind Specialists on 09 425 0037 now or email us about curtains.